"The best cinema that was ever built or is ever likely to be built." [Boyd, Robin, The Australian, 24 December, 1965]. "This theatre was not a mere breath of fresh air wafting through the design offices of Melbourne. It was a howling gale of modernity sweeping out every vestige of revivalist decorative stylism. This established the concept of original decoration, stupendously rich and magical without resort to vulgarity." "The effect [of the auditorium] was magic. One had entered a stalactite-encrusted cave, or a late Gothic cathedral. The awe-inspiring form, pattern and texture was achieved by crystalline shapes ordered into coherence by simple, smooth, beam-like strips of ceiling plaster, wide piers, and a deep band of suspended walling that encircled the auditorium beneath the side boxes and circle. At the side of the stalls and behind the boxes were deep recesses. All this made for a truly sculptured environment. Thousands of coloured lamps producing light that changed through all the hues in the spectral range were hidden amongst the plaster crystals..."
"In Swanston Street, opposite the Town Hall, a big theatre is being built, and, on completion will be known as the Capitol. When it opens its doors, those of the Australian public who will be privileged to be present at the initial performance will readily agree that it is the most commodious theatre in the Commonwealth, for its intended appointments have been designed on a scale of lavishness hitherto unattempted in Australia ... You will wonder how Australia did without such a theatre for so long." The Capitol's name was frequently referred to prior to its opening as the Central Theatre, but it was as the Capitol that it opened and has been known throughout its existence. 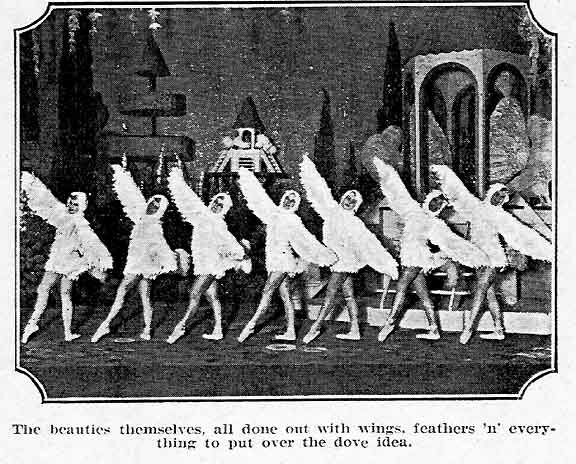 Opening night was 7 November, 1924. According to The Argus, the cost of the building, which included an office block as well as the theatre, was £580,000. "Picture goers will find many novelties in the new theatre. The orchestra and the Wurlitzer grand organ are raised to the level of the stage during the playing of the overture. 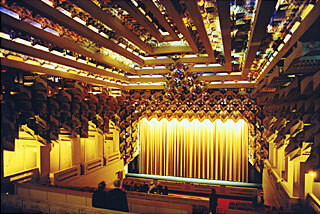 "One of the features of the theatre is a magnificent Wurlitzer organ, which supplements the orchestra. Only in three or four of the largest theatres in America and England have similar organs been installed." This final claim is incorrect in respect of both America and England. There were by 1924 many Wurlitzer organs of similar and larger size in theatres in America, but only one Wurlitzer so far in England, and that was a small 2-manual, six-rank Style D instrument at the Picture House, Walsall. The organ's main claims to historical fame are that it was the largest Wurlitzer by far in Australia at that time, and would remain so for some four years. 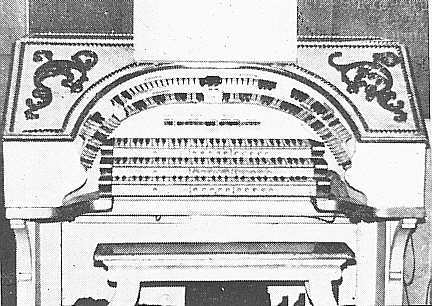 It was the first Australian Wurlitzer to be fitted with 32ft Diaphones, and it had the first organ console lift in Australia, a feature not seen before outside USA and Canada (the first in England was not until 1926 - Plaza Theatre, London). 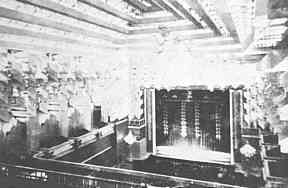 The fifteen ranks of pipes were divided between two wooden chambers located over the proscenium, with sound ducts to covey the sound into the auditorium. [Au Revoir to the Capitol Wurlitzer, TOSA (Vic), (Programme from closing concert at the Capitol), 17 November, 1963, p. 7] Sound ducts were rarely successful in the various theatres around the world in which they were tried, and it comes as no surprise that the decision was taken in 1929 to build new pipe chambers on either side of the proscenium, from which the sound could find direct egress into the auditorium; the effect at the rear of the stalls would have been considerably enhanced. The 32ft Diaphones were left where they were, on top of the old chambers; their non-directional sound projection would not have been greatly affected by moving them. They continued to shake the building in a most satisfying way from on high. The former chambers were used as store rooms. [Au Revoir to the Capitol Wurlitzer, TOSA (Vic), (Programme from closing concert at the Capitol), 17 November, 1963, p. 7] The upright piano attachment was situated on the floor of the orchestra pit, just to the left of the console. Main chamber (left): Tuba Horn, Diaphonic Diapason, Clarinet, String, Viol d'Orchestre, Viol Céleste, Flute, Vox Humana, (Chrysoglott). Solo chamber (right): Trumpet (brass), Tibia Clausa, Orchestral Oboe, Kinura, Saxophone (brass), Oboe Horn, Quintadena, (Traps and percussions). The console, which was originally finished in plain varnished dark wood, was painted and fitted with ormolu mouldings in around 1929. The original colour of the paint is not possible to distinguish from the monochrome photographs which survive. In its latter years, though, it was white and gold. It was removed from its lift sometime after World War II, and was moved forward, again at the left-hand side of the auditorium, with a candelabrum behind it. 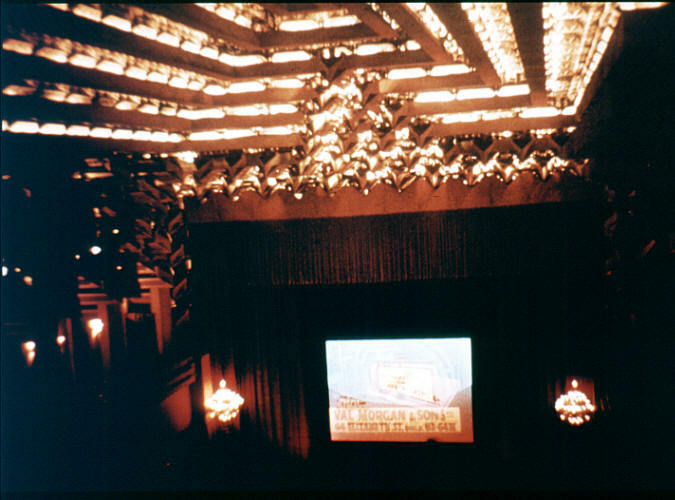 Ross Thorne states that this was done "by 1950",[Thorne, Ross, Cinemas of Australia via USA, p. 100] and that the candelabrum, together with that on the other side of the auditorium, was removed in 1955 when the screen was moved forward and new curtains were installed in front of the original proscenium. 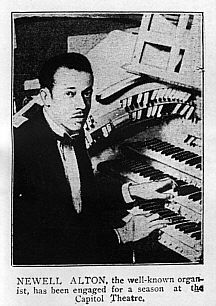 The organist at the opening was Horace Weber, who was previously organist at the De Luxe Theatre, Melbourne. He was the successful candidate from twelve applicants. 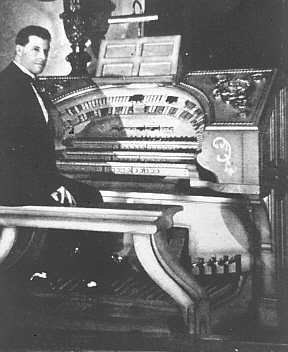 Weber was the only Australian theatre organist to be entrusted with opening new horseshoe-console Wurlitzers in Australia. The orchestra at the opening was directed by Sam White, the opening film being The Ten Commandments. "The house was practically sold out before the doors were opened at seven o'clock, and the lines of cars that drew up to the theatre as eight o'clock approached was reminiscent of an opera first night. 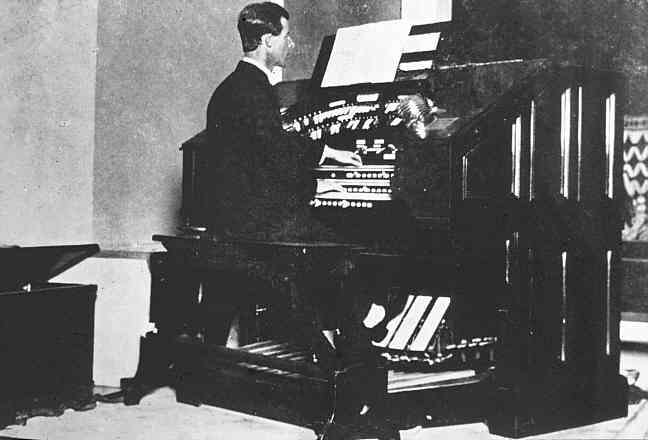 Prior to the commencement of the big feature, Horace Weber on the grand Wurlitzer was heard in several solos, including Charlie Chaplin's 'Sing a Song', and the Capitol Operatic Orchestra, under Stan White, assisted by the organ, gave a spirited rendering of the overture from 'William Tell'. Then as the lights slowly faded out in the auditorium, we were introduced to the first scene in the prologue - a remarkably realistic picture of Alaska in winter time, with the sun gradually rising over the horizon. At the conclusion of the number, the bears and girls suddenly disappear into the mouth of the cave, and a large black bear is discovered sniffing around the form of the figure of Chaplin. He awakes, and, as the light suddenly dies away (the sun is sinking over the horizon), is seen in the cave. Another testimony to Horace Weber's skills occurred when William McKie (later to become Sir William, and organist of Westminster Abbey) was Melbourne City Organist, playing at the Town Hall. 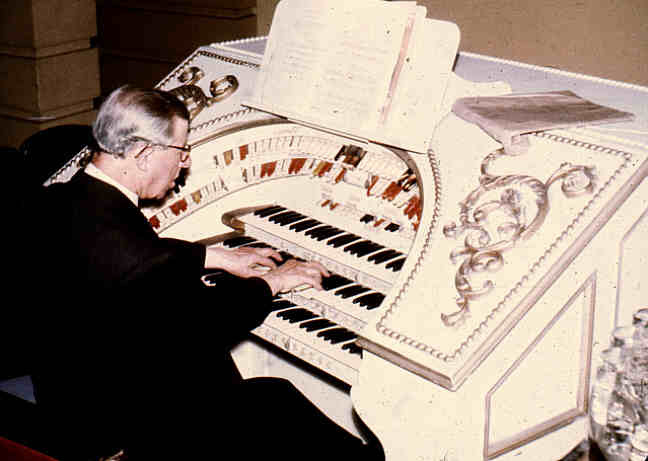 Horace was so infuriated by William McKie's remarks that he challenged him to come across to the Capitol any time he liked, and he would prove that the Wurlitzer was capable of playing any kind of music at all and had more range and versatility than any Town Hall organ ever built. The City Organist accepted Horace's invitation and one morning went over to the theatre. The amazing ability of Horace Weber had McKie paralysed. His eyes nearly jumped put of their sockets when he saw Weber's fantastic pedal technique. He really put the Wurlitzer through its paces, bringing the console up and spotlight on him. For good measure, he played Bach's Toccata and Fugue in D Minor, Widor's Toccata from the 5th Symphony and Wagner's Ride of the Walkyries; and, brother, could he play them! He was a genius in the extreme. One must admit that those three major works one after the other, was a pretty tall order, but Horace with no effort performed them to perfection. After that, he turned round to William McKie and said, 'Now, my dear friend, I will do something you can't do', and he proceeded to play in every tempo possible the latest current popular hit, which at that time was a number called 'I'll String Along With You'. To say that the puritan City Organist was impressed would be the understatement of the age. One could safely say he was speechless and completely demoralised. McKie offered to publicly apologise in the papers, and ever after that humiliating organ lesson he and Horace Weber became the best and closest of friends, so much so that Horace would go over to the Town Hall and play McKie's lunch hour programme for him while he sat at the back of the hall to get an idea of how he would sound to the regular audiences." 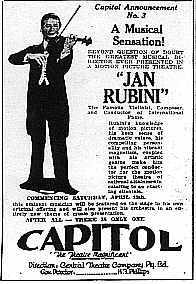 "Jan Rubini, one of the outstanding personality conductors on the Californian Coast, with a big musical record through the principal houses of Los Angeles and San Francisco, has been engaged by Herman Phillips as musical director of the Melbourne Capitol. He will arrive in Sydney next month on the 'Ventura'. Another engagement is that of Newell Alton, from the Orpheum and Criterion, Los Angeles, who will in future preside at the Capitol console. Stan White has resigned as orchestra conductor at the Melbourne house." 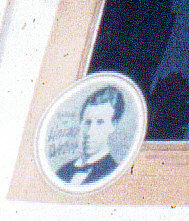 Horace Weber was resident at the Capitol for three periods. Initially, he was there from 1924 until 1929. He returned in 1933 for a year or so, and then again in 1938, when he remained for six years, until 1944. His final return to the Capitol was on 17 November, 1963, when he played at the final concert. 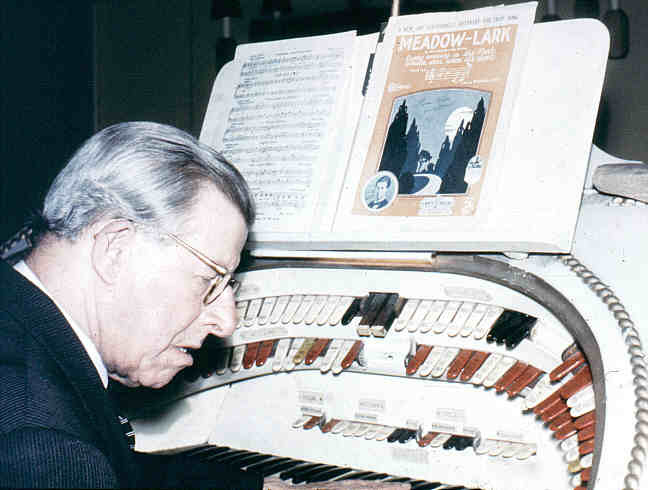 Other organists at the Capitol were: Newell Alton (1929-? ), Hal Stead (1934-38), Stanfield Holliday (1944-53) and Ian Davies (1953-58). Regular use of the Capitol organ ceased in 1958. Assistant organists included Mervyn Welch, Arnold Coleman and Geoff Robertson. 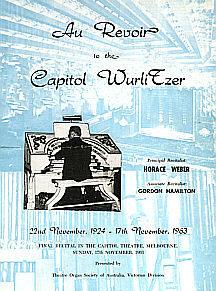 [Au Revoir to the Capitol Wurlitzer, TOSA (Vic), (Programme from closing concert at the Capitol), 17 November, 1963] Percy Burraston was organist at the Capitol prior to opening the Christie organ at the Palatial Theatre, Burwood, NSW, in 1932. 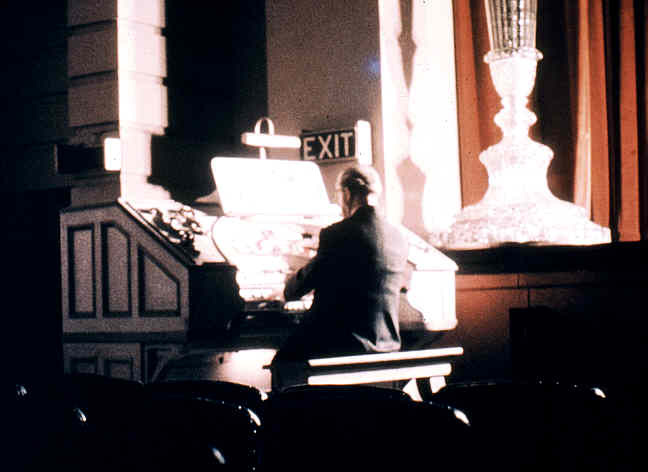 [Rushworth, Graeme, Historic Organs of New South Wales, Sydney, 1988, p. 211] Organist Gordon Hamilton joined Horace Weber for the final concert in 1963. 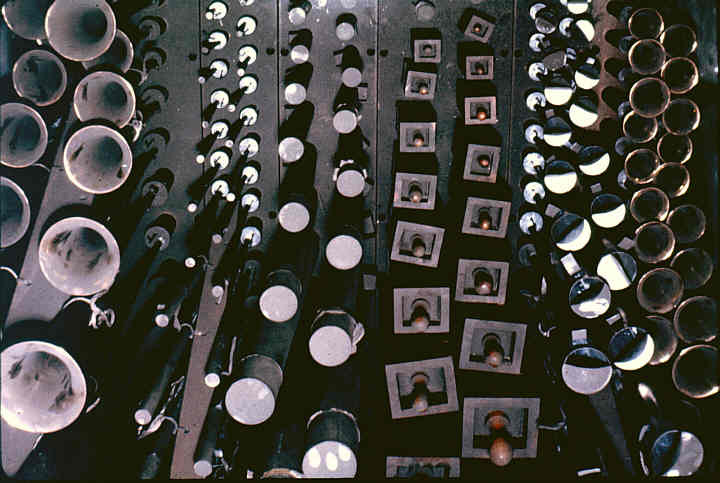 The Capitol organ was broadcast frequently by Stanfield Holliday, and was recorded on six 78 r.p.m. sides by Newell Alton (1929). A recording of excerpts from the final concert was released by TOSA (Vic). "Now it happens that we had two big tabby cats called Peter and Paul, whose job it was to patrol the theatre and seek out stray rats, etc. One afternoon, I was up on the console playing the afternoon show when I noticed one of the cats sharpening his claws on the big front curtain in full view of the audience. He must have hooked one of his paws into the tassels, and when the projectionist sent the curtain up to show the advertisement slides, the cat went up with it. 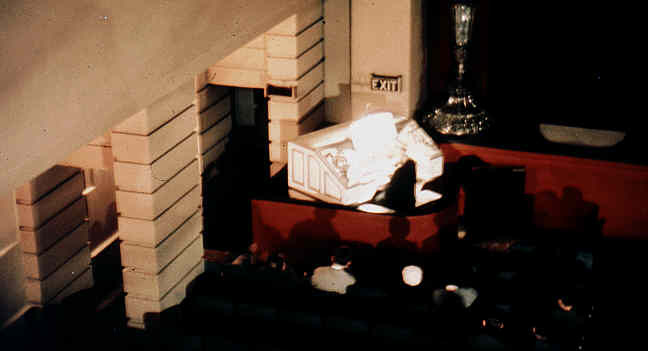 There was a great laugh from the audience, and I had to keep on playing the Wurlitzer with one hand and both feet whilst I used the other hand operating the organ console phone to ring the bio box and let them know that the cat had ascended up into the heavens backstage and would have to be rescued. 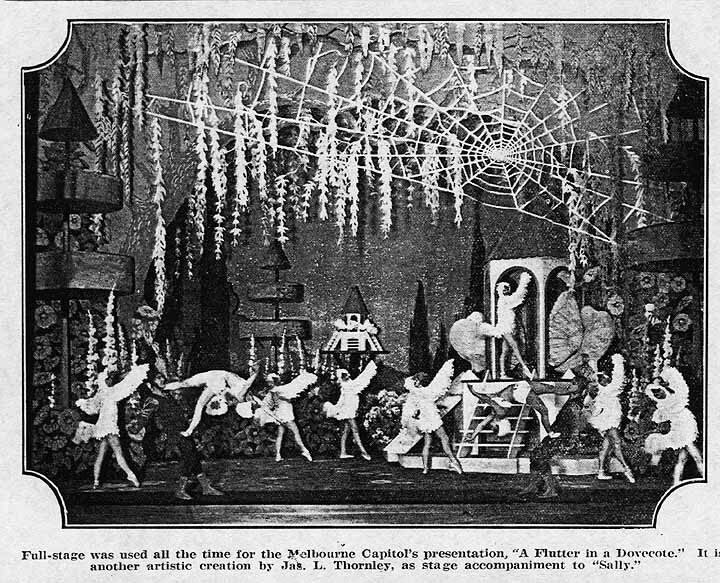 The final outcome was complete panic, with managers, theatre staff, and last, but not least, the fire brigade, who finally succeeded in climbing way up into the dizzy heights backstage and bringing the poor animal back to mother earth again." "One of the most uncanny and weird experiences I have ever suffered during my days as a theatre organist also took place at Hoyt's Capitol Theatre, Melbourne. At the time, one of our regular electricians was on holiday, and a relief was on duty. The incident happened one Saturday night when, as usual, I was up doing my show, and, I might add, dressed in a full suit of tails. My last number was always a feature, with the theatre blacked out, and a big white spotlight on the console. By some strange twist of fate the relieving electrician accidentally pulled out the circuit breaker on the organ blower, cutting out the wind supply. The organ died a horrible death, grunting and groaning in the strangest way, the pipes gasping out for breath and slowly dying completely, much to the amazement of the audience. The electrician, realising what he had done, slapped the circuit breaker in again. Naturally, the wind came on with a rush, and the organ roared back into life like a clap of thunder. The audience were dumbstruck and agreed they had never heard a sound effect from a Wurlitzer like that before. I'm sure they never will again. To say that I was most embarrassed would have been the understatement of the age. What I said to the electrician backstage afterwards would have made the paint peel off the walls. After all, he ruined my act and made the Wurlitzer most upset..."
In 1963, the owners of the Capitol let it be known that they would be prepared to sell the organ, if they received a suitable offer. The fledgling Victorian Division of TOSA, which at that stage had some-thing over fifty members, decided to bid for the instrument, and raised loans and gifts to come up with the necessary funds. Their bid was accepted, and after a farewell concert, on 17 November, 1963, with organists Horace Weber and Gordon Hamilton, TOSA members removed the organ over the next three months or so, taking an estimated 400 man-hours to remove it. [The First Twelve Months, TOSA (Vic), Melbourne, 1968] The organ was then placed into storage, while it was restored. In the meantime, arrangements were finalised for it to be installed in the Dendy Theatre, Middle Brighton. When the Capitol opened, the theatre seated 2137 (stalls 1306, balcony 633, loges and boxes 198). 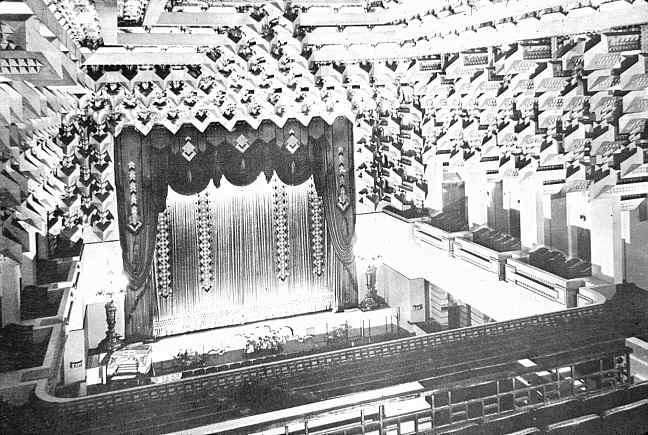 During the 1930s, the seating capacity was reduced to 2115. 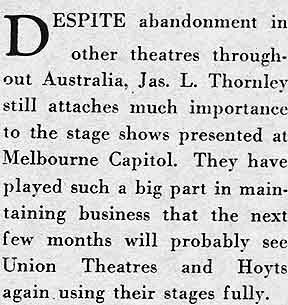 [Thorne, Ross, Cinemas of Australia via USA, p. 99] When Paramount's lease on the theatre expired in 1940, Hoyt's took it over. As has already been mentioned, the screen was brought forward in 1955, and the theatre then remained unchanged until the mid-1960s. It closed as a theatre in 1964, and for a while the disused lobby saw service as an electrical appliance shop. Its size was then substantially reduced by constructing a shopping arcade in the lower part of the auditorium, of which the floor was raised, so that the dress circle now forms the stalls, with a slope to the foot of the screen. Although the auditorium is significantly smaller, seating 650, the irreplaceable ceiling and side walls remain undisturbed. It reopened as a single-screen theatre in 1965 under independent management, but struggled to eke out a precarious existence showing double-feature revivals changing two or three times a week. Even this could not keep it going, and it finally turned to Chinese films. On 20 May 1999 RMIT University purchased the theatre as a lecture theatre and for conference use, but also to make it available for use as a cinema and a theatre. RMIT has its own website for the Capitol Theatre, with over forty old and new photographs. The Cinema and Theatre Historical Society also has a Capitol Theatre website. Both are well worth a visit.